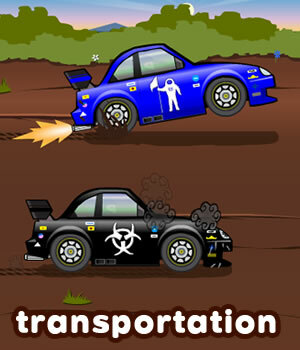 To teach ESL/EFL beginners to talk about different means of transportation. 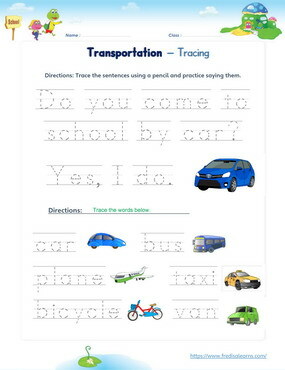 To learn to use the question format ‘How do you come…?’ for asking about transportation. Freddie and Lisa have just been dropped off by Dad, who drives Freddie’s Ville Mobile - a zero emission car used in the town. 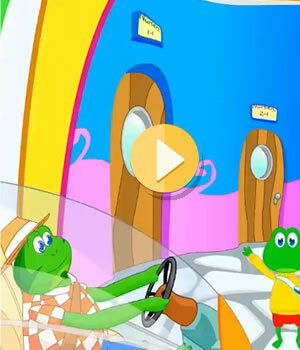 They meet Bob, who is intrigued by the car and starts a conversation about means of transportation. 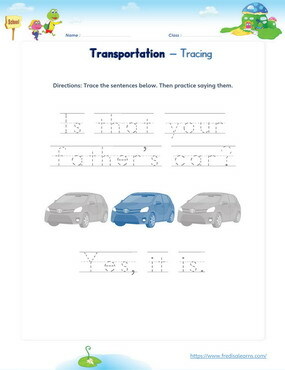 Is that your father’s car? How do you come to school, Bob? I come to school on foot.